Southfield is a detached three storey former dwelling which was originally constructed in 1901. 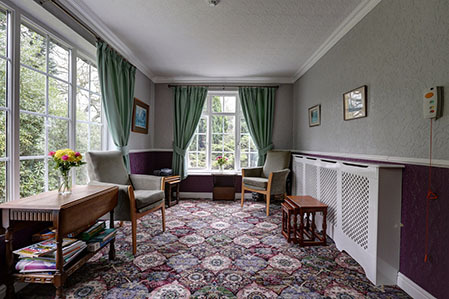 It was developed to care for the elderly in 1985; converted and extended in 1992 as a purpose-built care home. It sits amongst a number of large detached residential properties, adjacent to Notcutts Garden Centre and backing on to open fields. The house is set in over half an acre of grounds, with a large, south-facing patio area to the rear that overlooks landscaped gardens, bordered by mature trees that both provide privacy and attract a wealth of wildlife. There are a number of seats situated within the garden, so you can wander at your leisure and there’s a large lawn area which is ideal for a variety of activities, perhaps a game of boule or for visiting grandchildren to play. 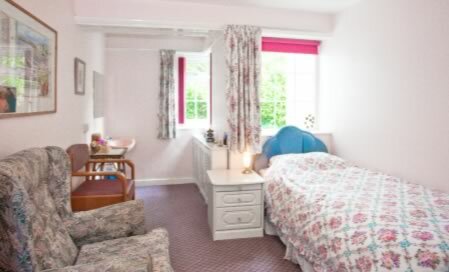 Each of our 16 comfortable bedrooms is an individual resident’s exclusive, private space personalised with their own items of furniture, where space allows; pictures, ornaments and other items they hold dear. 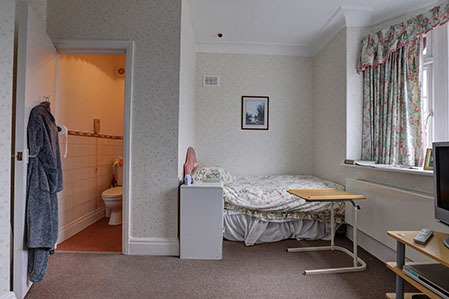 Every room has a hand basin, TV aerial point and, although there is a pay telephone that can usually be connected in an unoccupied room for privacy, residents can have their own telephone installed should they wish. 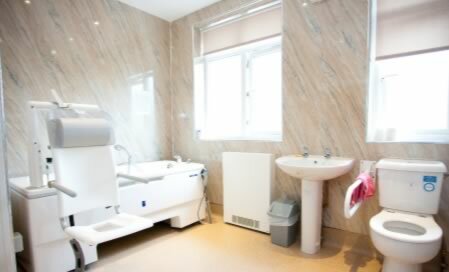 Five rooms are en-suite and all bathrooms are state of the art, facilitating assisted bathing to the highest level or with walk-in showers. 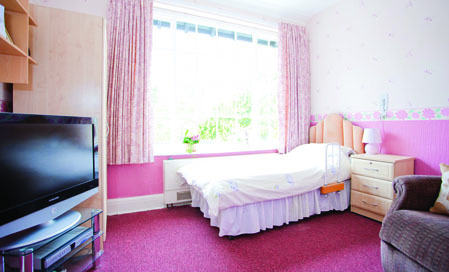 Each room provides a private space for visiting. 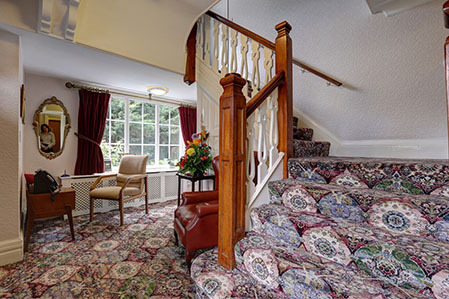 For our five upstairs rooms, there is a full five-person passenger lift. Although we respect each individual’s privacy, we do encourage residents to mix should they so desire. Here you can make new friends and share your valuable life experiences with other like-minded individuals. We have a large main lounge and a hair salon and these communal areas are divided into zones, e.g. 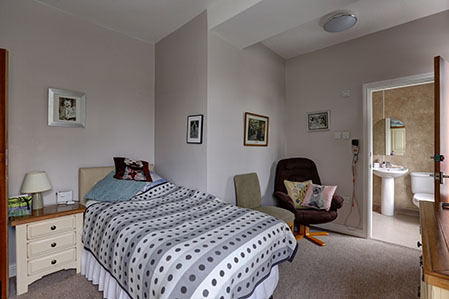 quiet zone (for reading, etc), chat zone (for meeting and talking to people), listening and viewing zone (with TV and audio) to provide choice and reflect residents' interests. 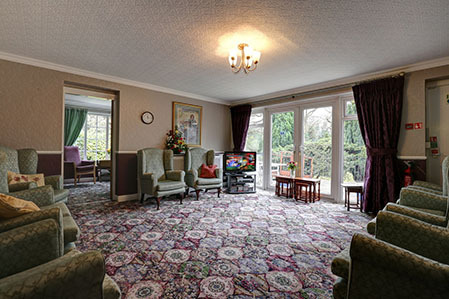 A communal television is provided in the lounge areas as is a music centre for residents’ use and the use of others when leading musical activities or occasional visiting entertainers. Laundry is carried out on the premises at no additional cost to residents. Large print library books are provided and replenished by the visiting library service. Talking books can be arranged for residents who are visually impaired. Hairdressers visit each week and use our hair salon, which has the feel on a high street salon. Local clergymen of differing denominations visit regularly. Residents may wish to continue with their existing doctor, providing he or she is willing to visit the home. If this is not possible, we can arrange for you to be registered with one of the local practices in Bramhall.